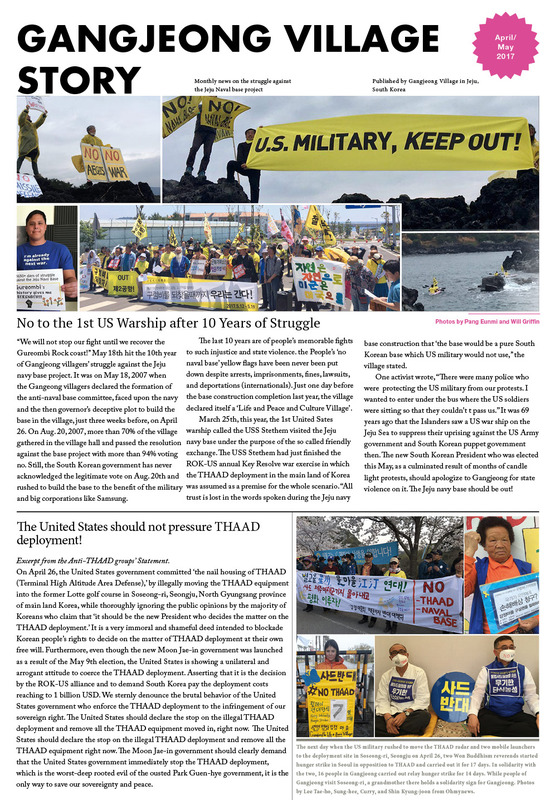 No to the 1st US Warship after 10 Years of Struggle /The United States should not pressure THAAD deployment!/ Resisting THAAD in the United States/ Vietnam Pieta and Fr. 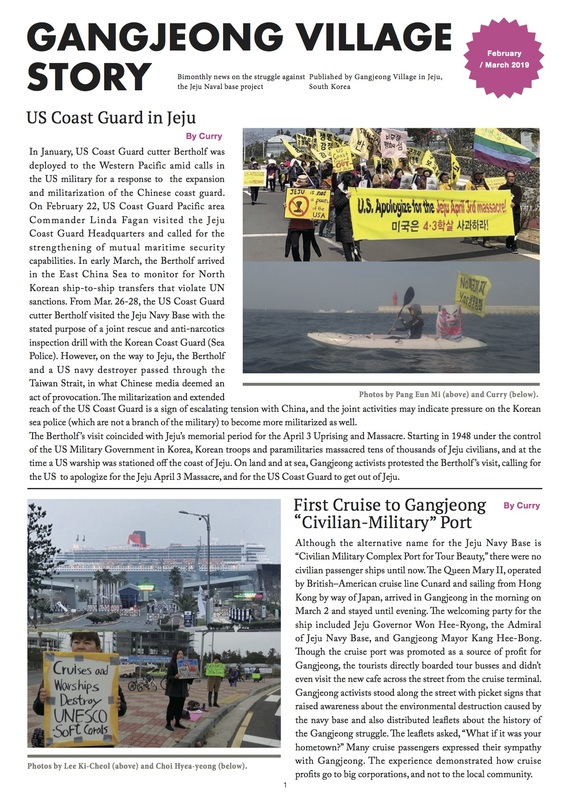 Bix statues placed in Gangjeong/ The Navy’s damage lawsuit and the new President Moon/ A Murderous History of Korea by Bruce Cumings / Gangjeong Peace Travel Team / Making a Demilitarized Island with No Air Base / Remembering the Sewol ferry tragedy and Gwangju uprising/ Jeju march 2017 ad. etc.